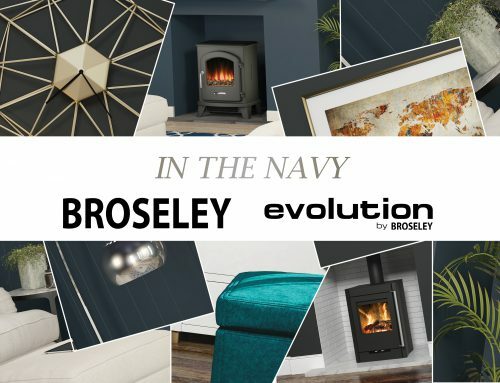 As news of the Government clamping down on pollutant causing fuels hits the spotlight, more than ever before, your Broseley stove will become an asset of ever increasing value. Ecodesign Ready is the European-wide programme to lower emissions and will be in force in the UK from 2022. 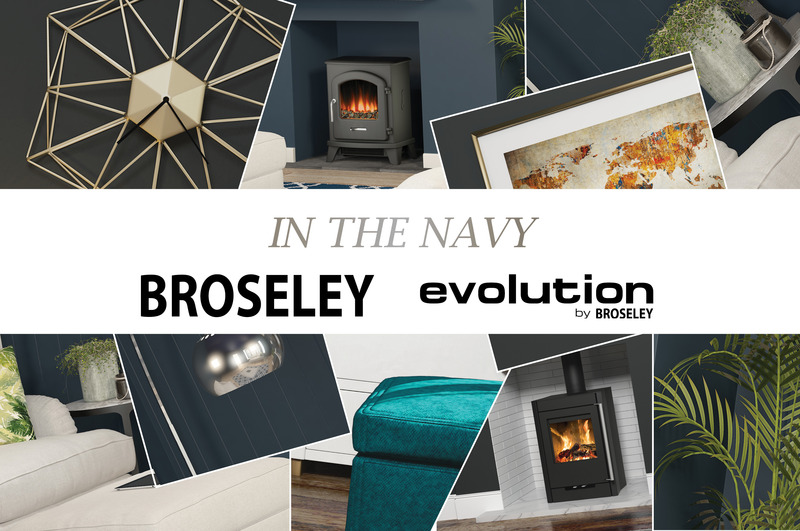 Here at Broseley, we are investing heavily in developing multifuel stoves that comply with the new Ecodesign Ready programme. 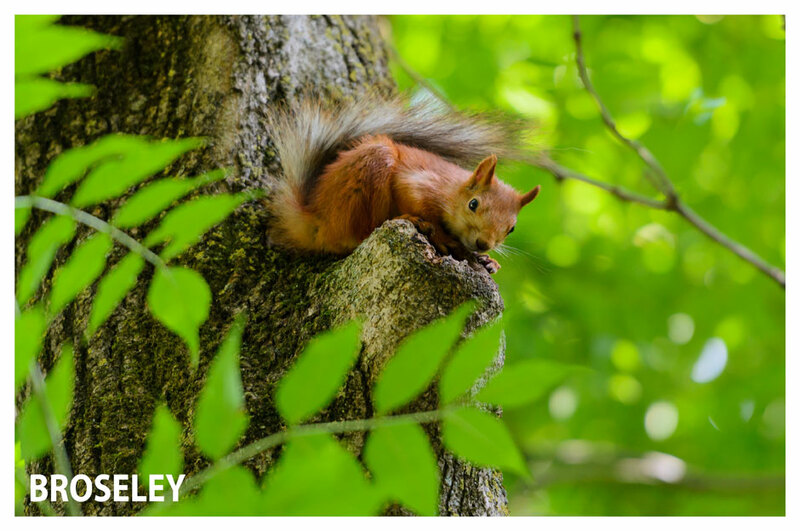 We are incredibly proud of our environmentally sound products which we currently manufacture, well ahead of the 2022 deadline. So how does an Ecodesign Ready product work? 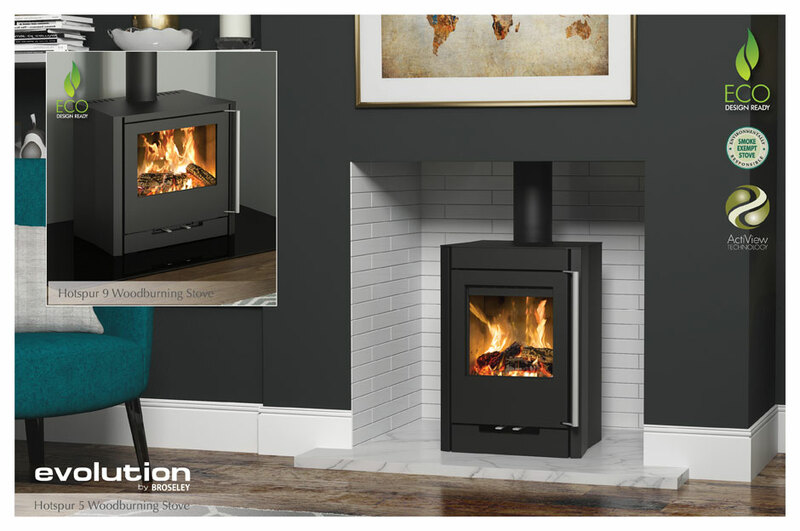 These clever woodburning stoves are outstanding when it comes to producing more heat from each log and cutting down on particle pollution. Burning wood at higher levels in the fuel box greatly reduces the organic particles. This in turn significantly reduces the level of emissions from burning wood and has a positive impact on carbon reduction. 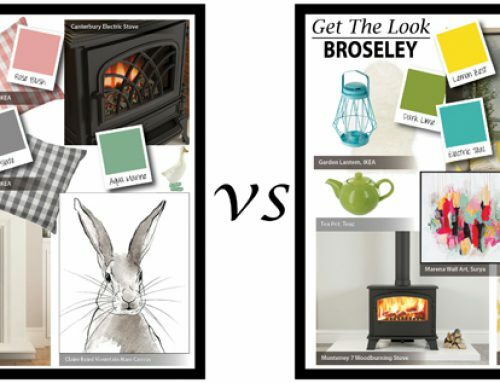 This can be beautifully illustrated with the Broseley Hotspur stoves, shown above. 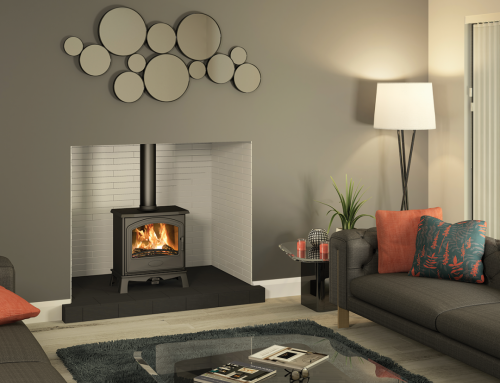 Boasting up to 82% efficiency when burning wood, these all-steel stoves are Ecodesign compliant and meet the lower emissions output requirements. 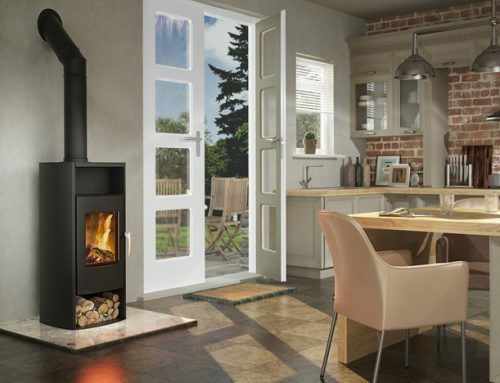 Whilst the Hotspur 5 model will circulate generous warmth around a small to medium sized room, the Hotspur 9 delivers a powerful heat output of 9kW, ample to heat a large open plan room. As if that wasn’t enough, the Hotspur also delivers in the looks department. 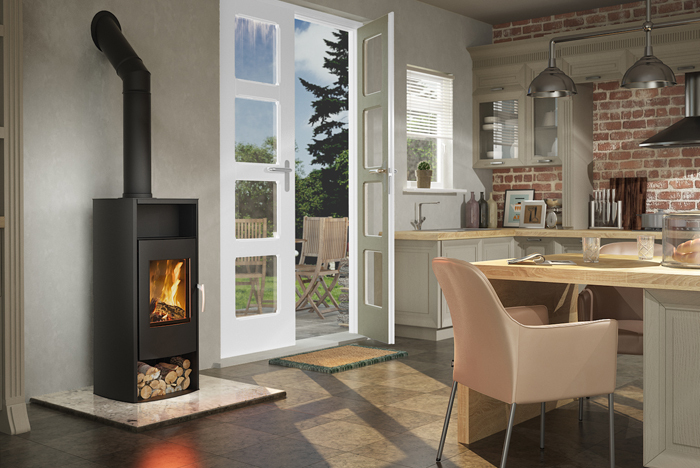 Delightfully contemporary in style these striking stoves have a Silk Black finish and feature large viewing windows and a full length contrasting Satin handle. The Hotspur will make a desirable addition to any home. 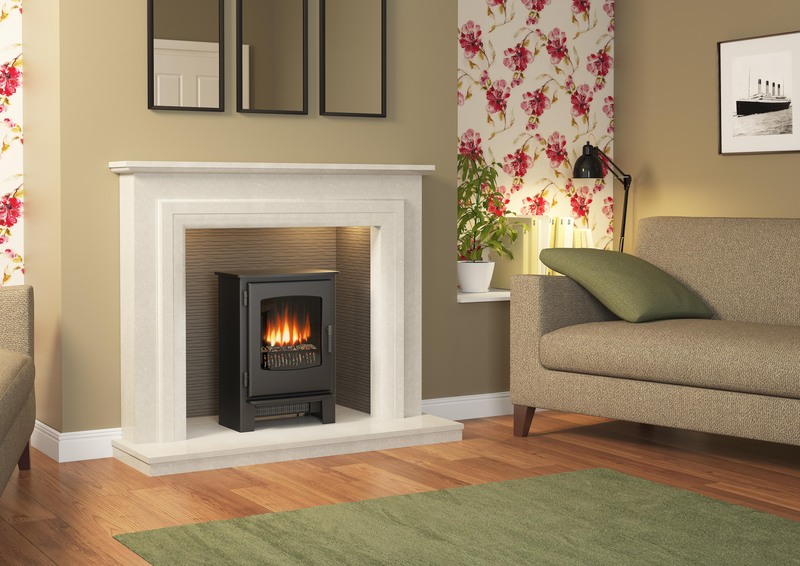 With Broseley, your woodburning stove can be clean as well as carbon-neutral and an extremely comforting heat source. So whilst you relax in the rosy glow, you can quietly pat yourself on the back for being both environmentally responsible and financially shrewd. Those of us who live in towns and cities dwell in smoke control areas as defined by the Clean Air Act. 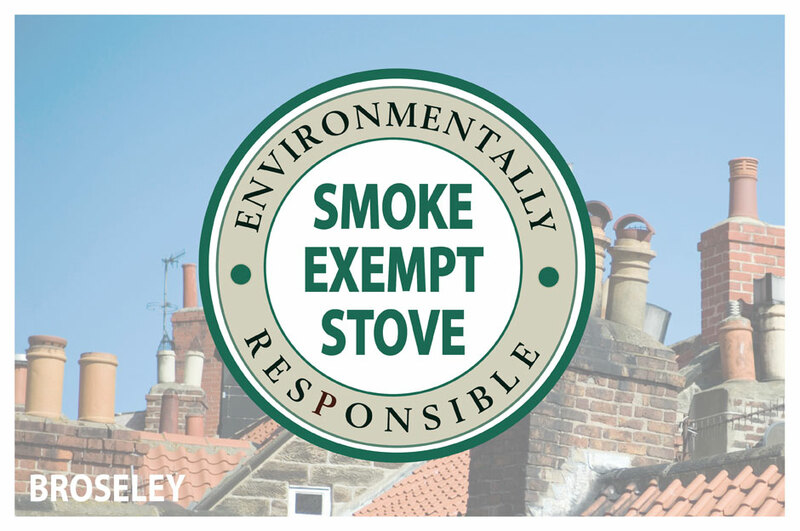 Here you are permitted only to burn smokeless fuel or use woodburning appliances which have passed the emissions tests set by the Department of Environment Food and Rural Affairs (DEFRA). So efficiently do Broseley stoves convert wood to heat, the majority bear the Smoke Exempt seal. 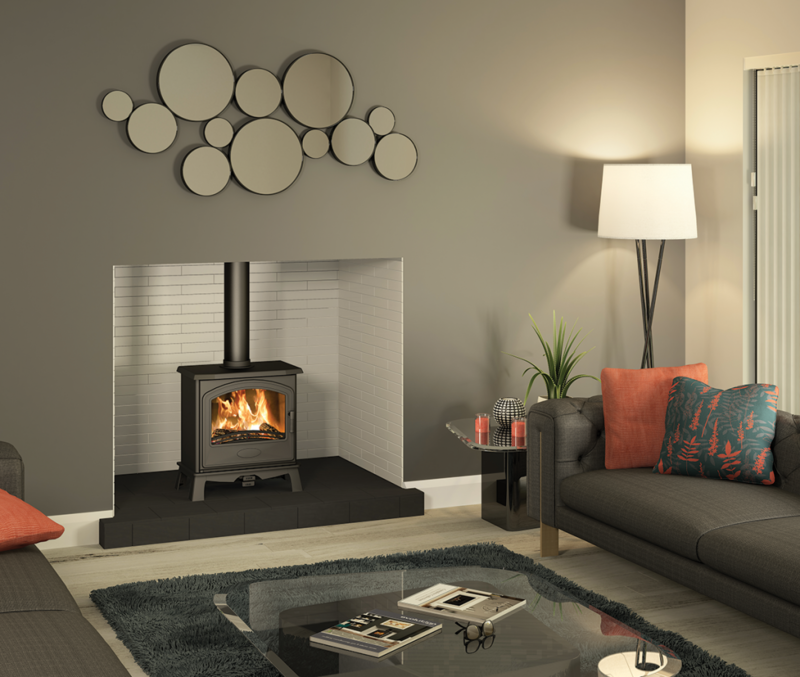 You can view our full collection of Smoke Exempt stoves here. Dry, seasoned and untreated wood is key when aiming to reduce emissions. 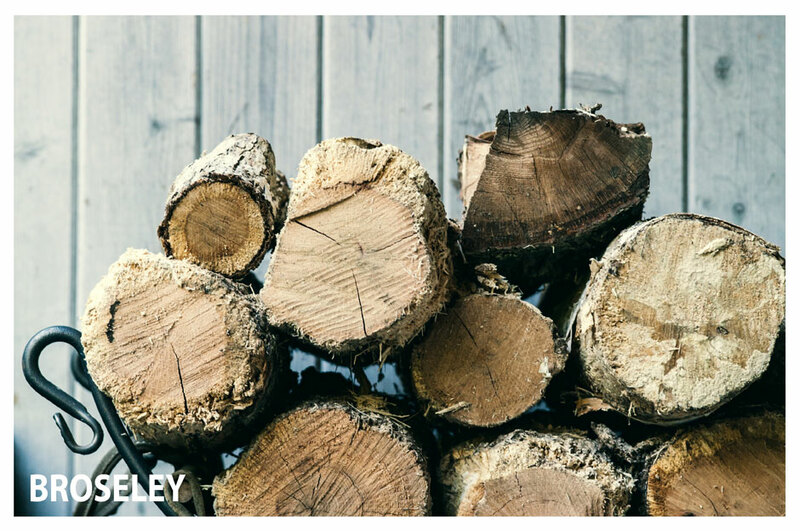 Ensure that your woodburning logs contain less than 20% moisture in order for them to burn efficiently. Damp logs cause moisture to travel up the chimney and mix with soot, creating pollutants, which in turn can damage your chimney as well as the environment. A number of moisture meters are currently available on the market to allow you to measure the moisture level of your wood. 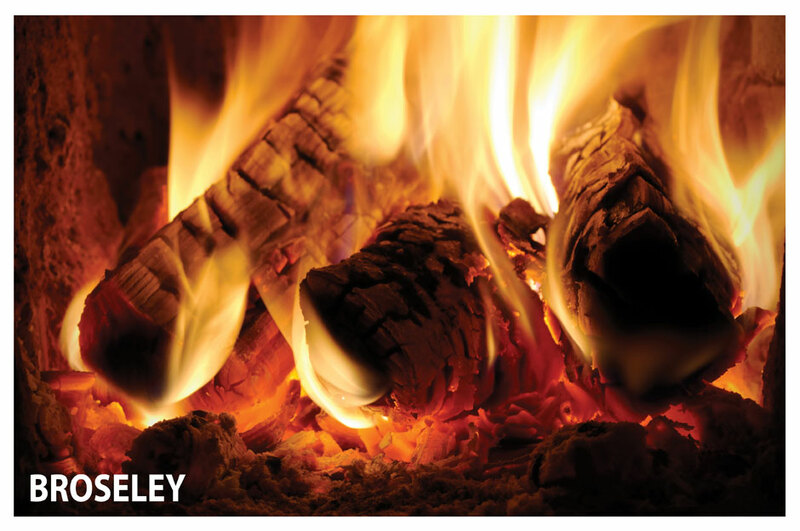 By burning wood at a higher temperature, most wood should burn cleanly reducing potentially harmful emissions. A stove thermometer is a great investment to ensure that your stove is burning at a constant temperature. Adequate air supply is essential to ignite your stove as well as ensuring a consistent burn. 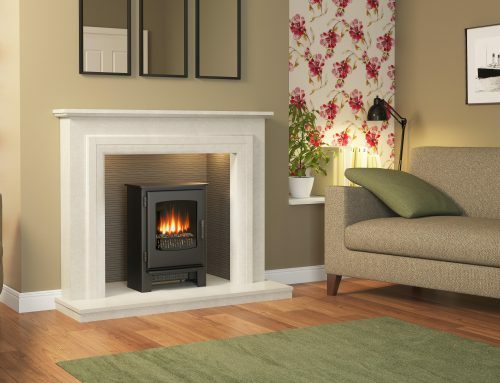 Check out our blog on ‘Lighting Your Stove’ for more top tips here. Annual servicing and chimney sweeping is a must for a multifuel stove. A thorough sweep will ensure that your chimney does not become overloaded with soot deposits that can cause huge problems for both your chimney and the environment. Contact the National Association of Chimney Sweeps to find a chimney sweep in your area.